The Altador Cup Customisation Spotlight! Just like each year, we are holding our Altador Cup Customisation Spotlight! If you have customised your Neopet to support your Yooyuball team, you might want to enter this spotlight. We'll be looking for the best dressed supporters for each team! 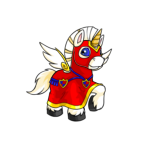 You can use many things to make your Neopet look like the ultimate supporter, like neopoint, neocash or paintbrush clothing. 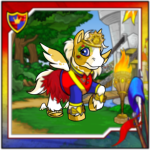 You can also paint your Neopet in a colour going with your team! Guess which team I'd go well with? You are allowed to enter more than one Pet, so feel free to enter all four of them if you want! It's also allowed for your Pets to support different teams, just as long as they are nicely customised. You are however not allowed to enter one Pet more than one time. If we find out about that, we will disqualify you! Also, keep an eye out for us on the neoboards, where we will be looking around for people to enter. Once your entry get accepted, we'll be sending it to our judges, who will choose the best supporters for all teams! You can enter your Neopets until 27th June. I've been waiting the whole year for this!